Mikhail Lermontov a Russian, Romantic writer, poet and painter, sometimes called “the poet of the Caucasus”, is one of the main figures in Russian literature. He has lived in the mansion on Malaya Molchanovka Street from 1829 to 1832, during his studies at the University’s boarding school and Moscow University. The building has undergone different times and became the poet’s museum in 1981.After the latest restoration the museum extended its exposure and multimedia equipment appeared here. You will see Lermontov’s paintings, the furnishing he lived in. the multimedia part of the exposition allows to know more about his life and oeuvre not only in Moscow, but also in the Caucasus, he had loved so much. 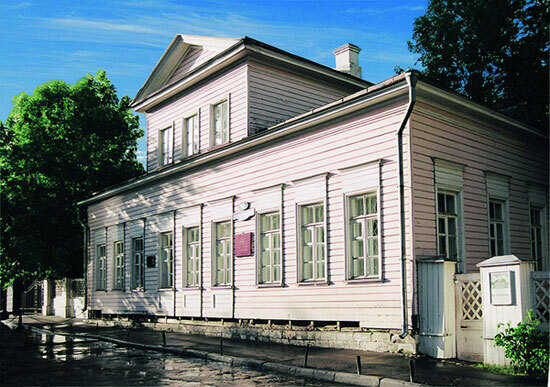 To reconstruct the environment in which young Lermontov lived, the authors of the restoration project relied on exposure typology of noble’s houses of the first third of the XIX century, and studied all the details of the poet’s life that preserved in the memories of his contemporaries. The museum is located at Str. Malaya Molchanovka 2, Arbatskaya metro station.